Announcement Enthusiast of noble materials and artcrafts it is finally in the work of the leather that this young creator will bloom. After graduation, she created her brand and offers a range of leather goods designed and produced entirely in her Parisian workshop. She boldly mixing quality leathers and fabrics unearthed during her travels to create unique pieces. 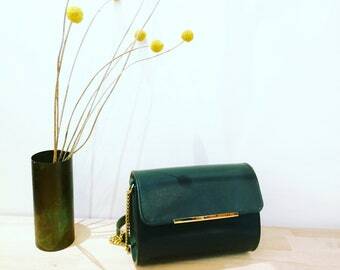 Let yourself be soothed by the smell of leather and enter the universe casual chic or sophisticated vintage bags and accessories "La BA(ï)TA". Enthusiast of noble materials and artcrafts it is finally in the work of the leather that this young creator will bloom. 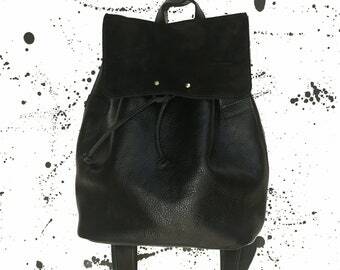 black leather bag, briefcase "BOB"
A wonderful gift for people who doesn't like to have a bag outside !